We offer free, guided ecology walks to anybody who feels inspired to join us. We also offer less structured and more exploratory participatory natural history outings - click here for more details. And please check the events calendar for upcoming public walks and natural history outings. Every year, a series of Spring Flower Walks gives participants the opportunity to follow the unfolding of spring through the lens of spring wildflowers. Over the course of two months (mid March – mid May) we lead walks at a variety of locations throughout Columbia County. As spring comes closer, these walks will be listed in the events calendar. Join us for one of these walks to learn how to identify certain spring wildflowers and to hear about their lore. Or come to several of these walks to observe how the different species change as they unfold and mature, and to get a sense for the differences in spring flower communities between locations. 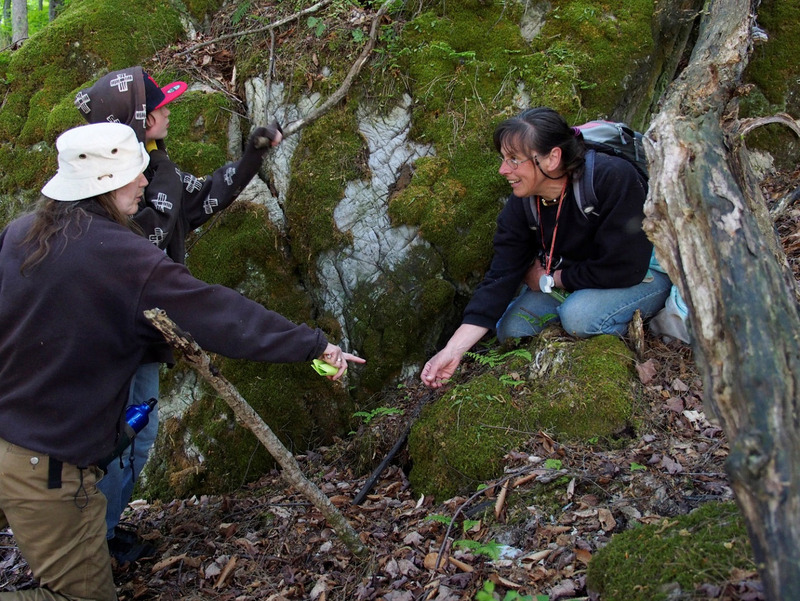 Exploring calcium-loving ferns during a Spring Flower Walk. 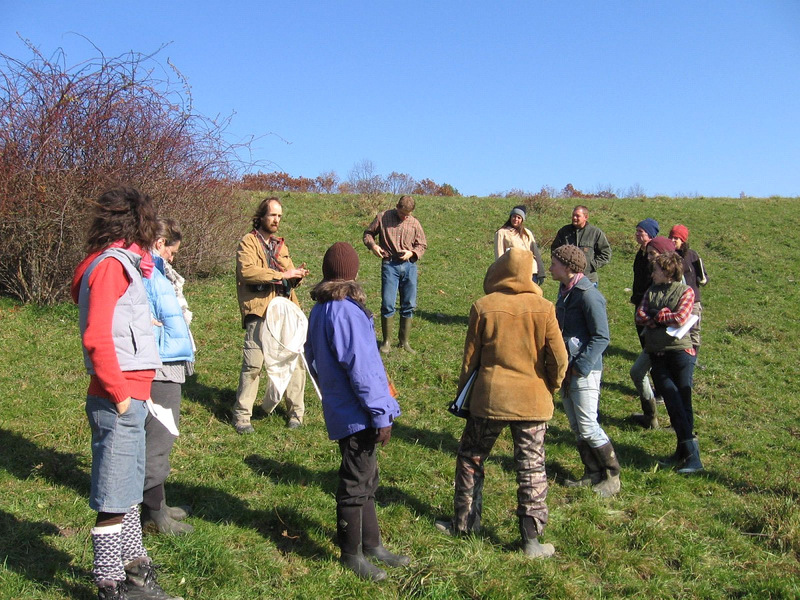 During the summer, we offer occasional Farmscape Ecology Walks here at Hawthorne Valley Farm, introducing participants to the wild plants and animals that share the farm with us. As summer comes closer, these walks will be listed in the events calendar. 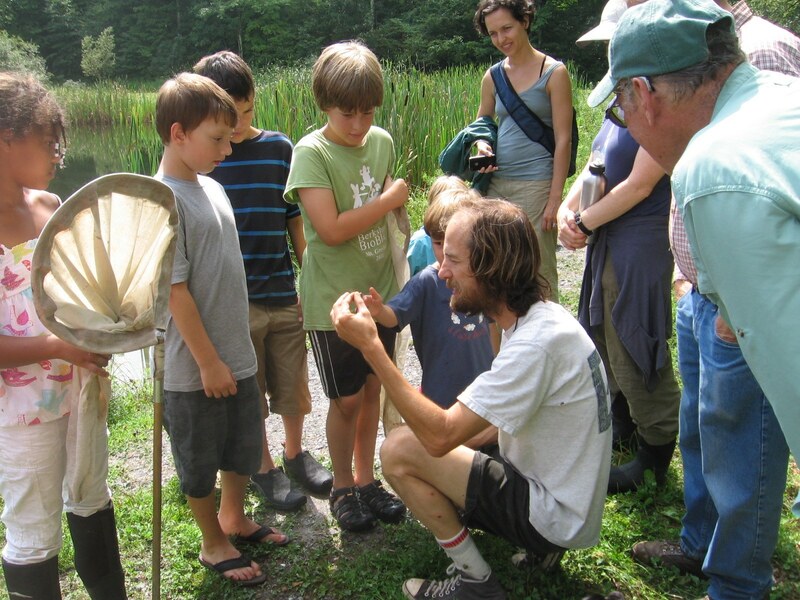 “Who lives in our ponds and streams?” is the theme of one of the most popular Farmscape Ecology Walks at Hawthorne Valley Farm. During the winter, we take participants on Winter Explorations to a variety of locations throughout Columbia County. 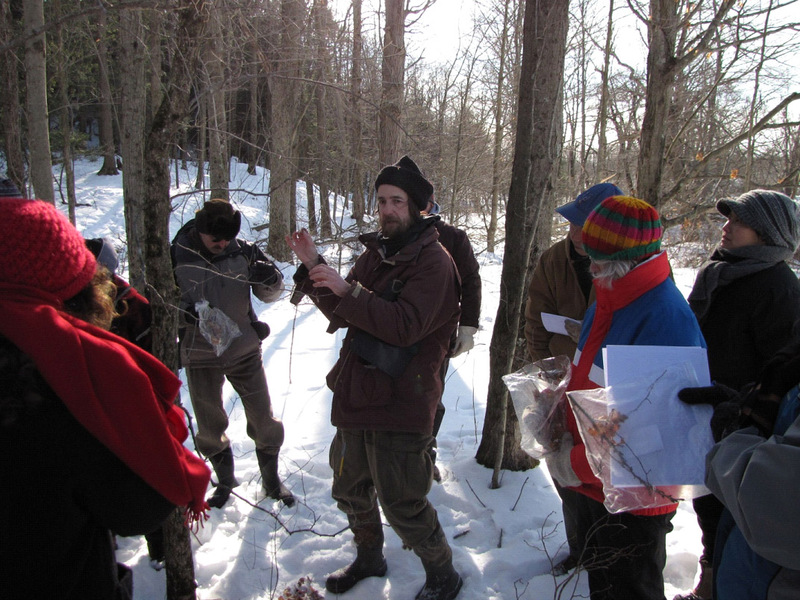 During these winter ecology walks, we focus on familiarizing the participants with those aspects of nature that are only or best observed during the cold months: animal tracks, woody plant identification without leaves, wildflower identification from dried plant remains, etc. The Winter Explorations are also intended to encourage you to come out and enjoy the natural world at any time of the year and in any weather! In 2015, the Winter Explorations will be identical with the Habitat Explorations during the winter months. Learning how to identify woody plants from their twigs, buds, bark, and general shape during a Winter Exploration. For those who would like to immerse themselves even deeper or more frequently into learning about the natural history of Columbia County, we offer various opportunities to participate in field research. We also offer customized ecology walks.